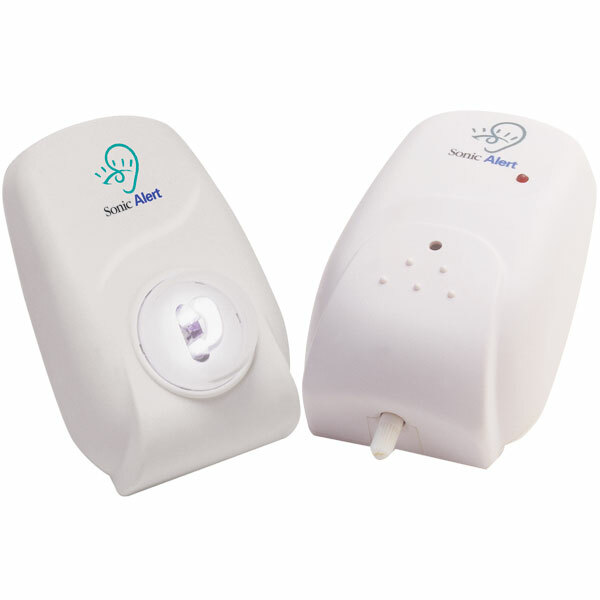 Great alert package for those who have a baby who require an alert in a location where you don't have a lamp to plug into a traditional receiver/lamp flasher. The baby monitor is small, compact and just plugs directly into the outlet in your baby's bedroom. Simply plug the included Sonic Blink strobe light into any standard AC outlet to be alerted by strobe flash when your baby cries. The unit has an adjustable sensitivity control that it is so sensitive, it allows you to be alerted to sounds as soft as a baby's whisper. This baby alarm has an indicator light to assure you that the unit is working. 5 year manufacturer warranty. U.L. Listed. Great to use in places where you would not use a lamp such as bathroom, kitchen, dining rooms and hallways. Will even work if placed behind your furniture. U.L. Listed. Warranty: 5 Years. 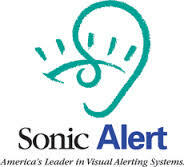 Note: the Sonic Blink Strobe can also receive signals from other Sonic Alert Transmitters, including telephone and doorbell signallers (sold separately).